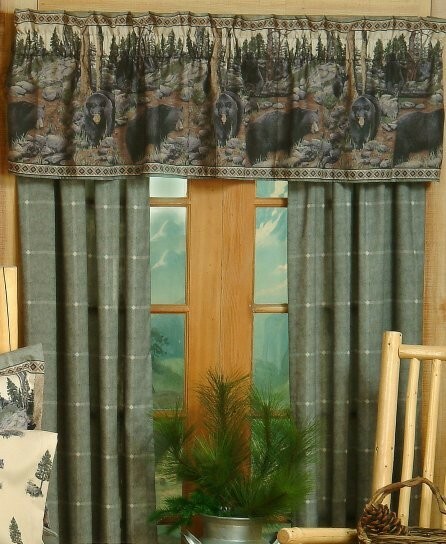 The Black bear valances are featured with a panoramic scenic border print and can be used alone or with the soft sage plaid color bear drapes. 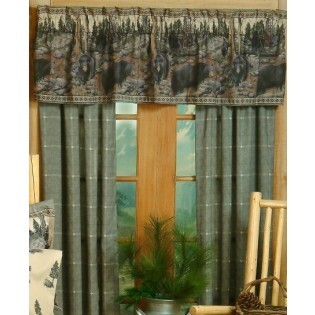 Black bears are featured in this scenic print valance which can be used alone or combined with the soft sage plaid matching drapes. Drapes are lined and come with tie backs. Made of 100% cotton duck, dry cleanable.